This set features a pink sequins embellished blouse. 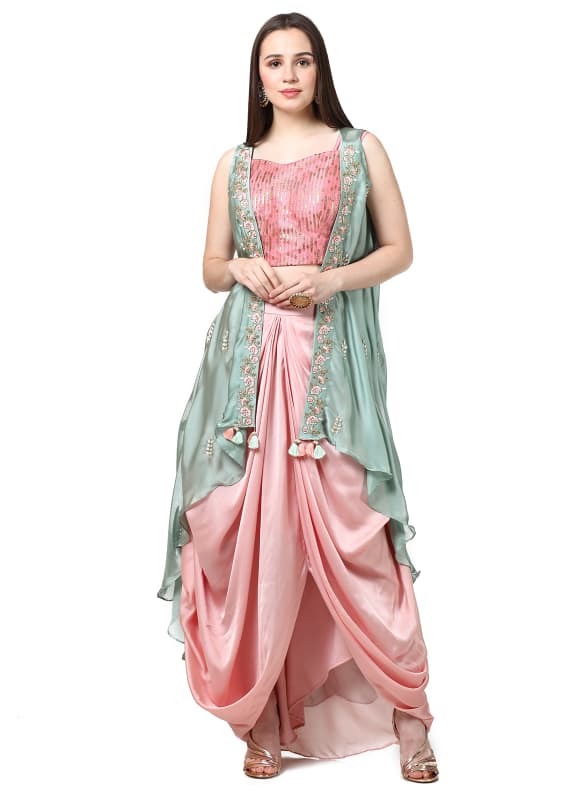 It is paired with a matching drape skirt and mint green cold shoulder cape. 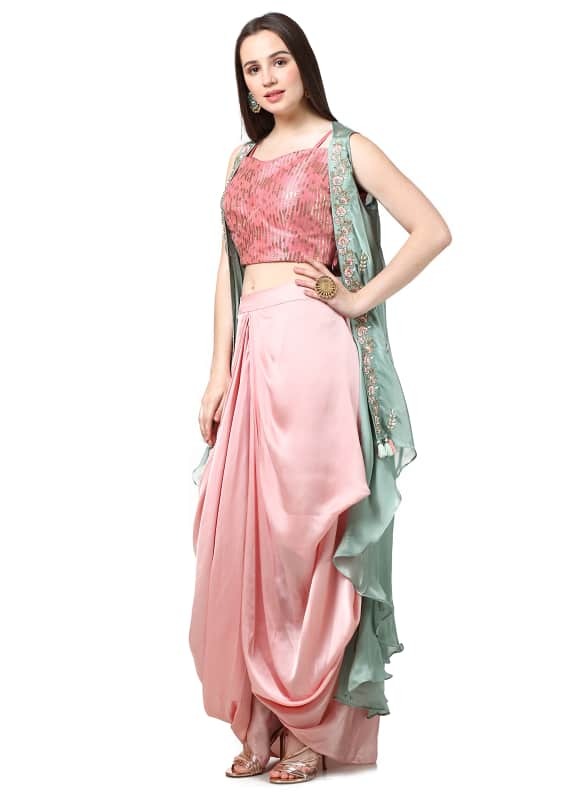 Traditional silhouettes meet modern aesthetics with this fun yet glamorous ensemble. Style your look with a pair of Amethyst earrings and ring.